Maryland Point Light was a white hexagonal screwpile cottage with dormer windows and a red roof built in 1892. The light was located in middle of the Potomac River halfway between Fairview Beach, VA and Caledon Natural Area State Park in King George County, VA. The cottage was constructed at Lazaretto Depot and the sections were barged to the work site. The light was commissioned December 15, 1892 and had a fourth order Fresnel lens. The light was automated in 1954 and decommissioned in 1963. 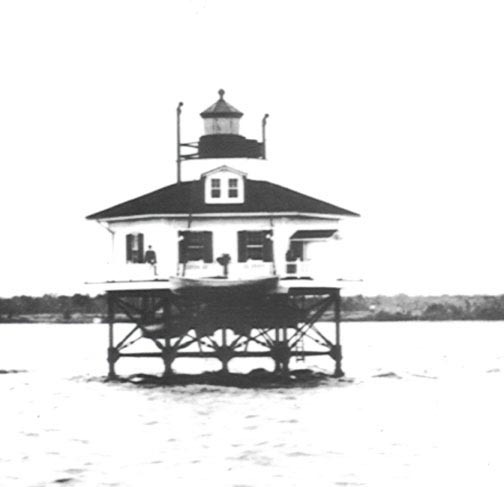 When decommissioned, the cottage was dismantled and the pieces moved to the Portsmouth Light Depot.